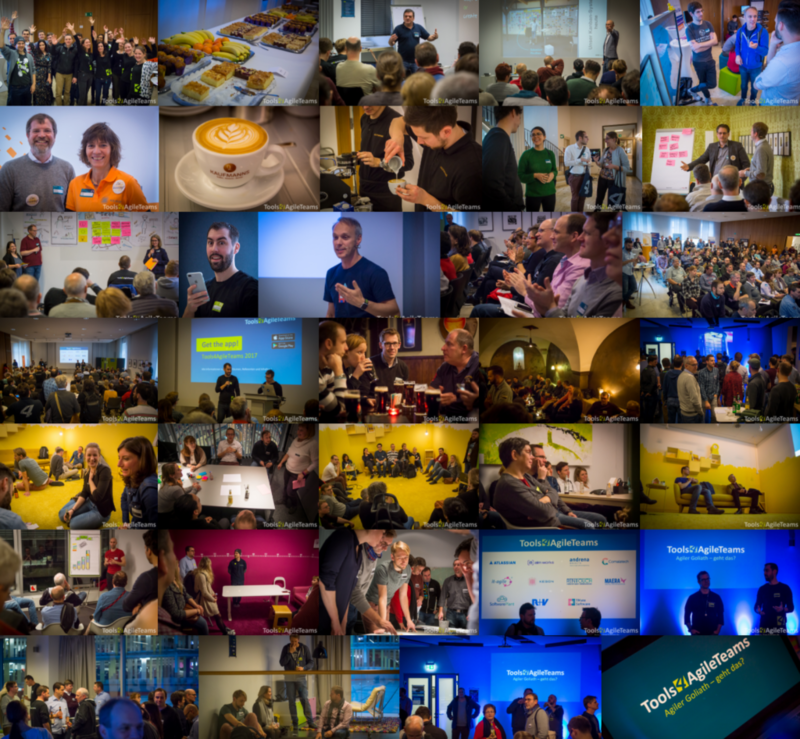 We are hosting the Tools4AgileTeams conference again on 29 and 30 November 2018. This autumn marks the seventh anniversary of our conference! We've set aside two days again this year for the T4AT. Agile@Night will be held starting in the early evening on the 29 November, and has an informal and varied program including Agile Games, entertaining reports of people's agile experiences, Pecha-Kuchas, discussions where we can explore new agile methods together, and more. Of course, you will also love the delicious dinner and cool drinks that we provide. Last time, we even offered a pub tour and our own live music with an agile theme (lyrics are in German)! Our Agile@Night is always very popular with conference attendees, and we have seen time and time again, that this is a great way to informally exchange ideas, discuss problems and break down new methods and approaches. The 30 November has a more classical structure and is the actual conference day. In multiple parallel tracks, you can choose to attend from between 30-40 presentations, short workshops and interactive sessions - create your own agenda, and attend those sessions you are most interested in. Our goal: To give all participants concrete and applicable ideas and solutions for working within their own teams and organizations. There are two types of tickets available: You can choose whether you want to attend the entire conference (Agile@Night on 29 November and the conference day on 30 November) or just the conference day (30 November). The cheap first-bird rate applies to both options. T4AT 2017 was booked out, and we are expecting to see a lot of interest again this year. Tickets are sold on a first-come, first-served basis. We recommend that you register to attend as soon as possible. We are greatly looking forward to bringing you the next installment of ToolsAgileTeams 2018 on 29-30 November, and our preparations are moving along nicely. We'll let you know about this year's theme and put out a call for sessions shortly.